An occasional rattle when you snooze is normal, but when it’s constant and loud, it’s not only disruptive to your partner, it can have some serious health implications. Today we will answer some common questions about snoring and treatment options. When does snoring become a health concern? Chronic snoring occurs when the air flow through the nose and mouth is obstructed in some way, causing at best loud sounds that can keep others awake, and, at worst, poor blood oxygen levels or even death. Everyone snores on occasion, particularly when congested from a cold. But when loud snoring is an every night occurrence, it can be a sign of trouble. 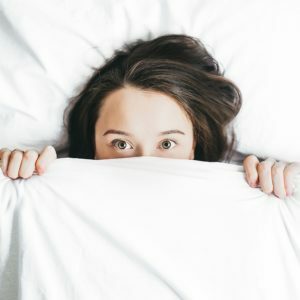 Common causes for chronic snoring include being overweight, enlarged tonsils, deviated septum in the nose, muscle weakness in the throat, and drug or alcohol use. What are the health problems that can be caused by snoring? Left untreated, snoring can cause a whole host of health problems. Disrupted sleep from snoring can leave you feeling tired, irritable, and with poor memory function. Severe snoring can cause obstructive sleep apnea when breathing is completely obstructed for periods of time. This can lead to heart trouble, and even death if left untreated. What can be done to treat snoring problems? Treatment will vary depending on the cause of the snoring. Seek help from a specialist that can evaluate your condition and help you with treatment options. Treatment can vary from wearing a CPAP mask during sleep to surgical correction of a deviated septum or enlarged tonsils. Ready to solve your snoring troubles? Contact Dr. Dedo for a full evaluation.